You’ll find the Waldorf Astoria towering over the heart of the iconic city of Las Vegas. Hosting 392 sleek rooms and suites with subtle Asian inspired touches this 47 story hotel has certainly got the wow factor. 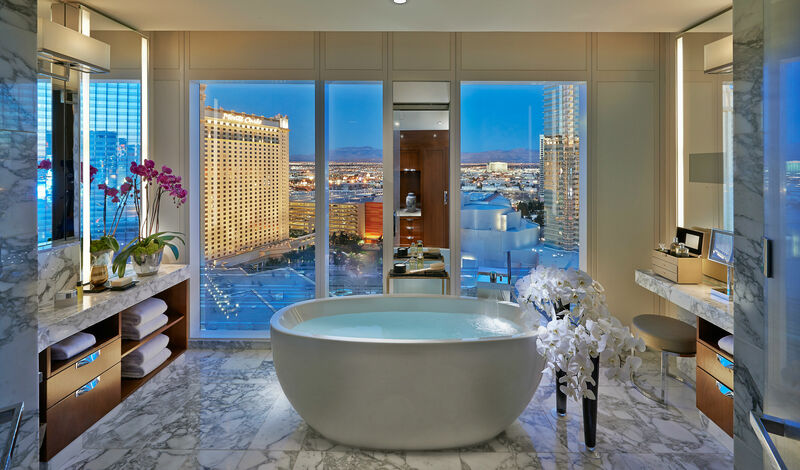 It’s the perfect spot for those who are craving a taste of the high life and comes complete with panoramic views of the famed Las Vegas Boulevard, five mouthwatering gourmet bars and restaurants, not to mention the stunning luxurious spa. The Waldorf Astoria is in a prime location in the core of the Las Vegas strip, just a ten-minute drive from McCarran International Airport and surrounded by the city’s best-loved sights and attractions. 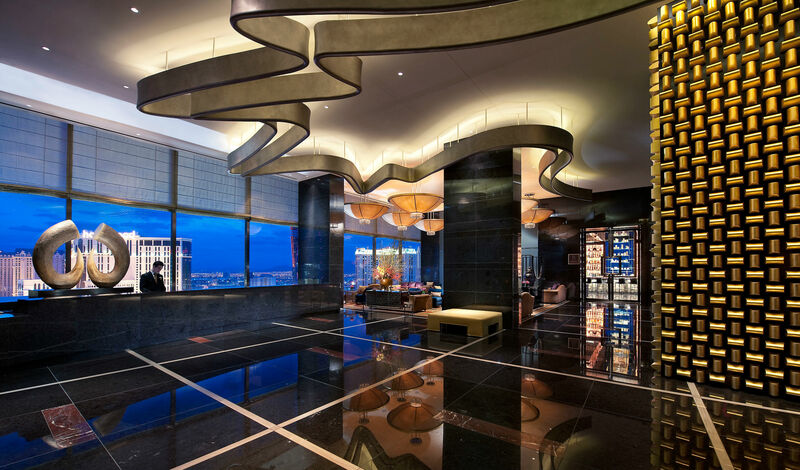 The hotel sits at the entrance to Aria, the new cultural epicentre of the city and even boasts a sky bridge to Crystals; an exciting retail and entertainment district. There’s a huge range of rooms and suites on offer at the Waldorf Astoria, but don’t worry each has breathtaking dynamic views of the city and expansive Mojave desert beyond. Sumptuous silk curtains, contemporary dark wood furnishings and understated exotic figurines feature throughout, as well as the super snuggly huge beds that are just perfect to slump down in after a big night out on the town. Where to begin – from the unbeatable location to the modern style and fantastic service the Waldorf Astoria has truly got it all. The pool on the eighth floor outdoor deck is a definite highlight for us, with spacious Jacuzzis and super lux cabanas that feature plush robes and complimentary fresh fruit. A visit to the SkyBar is a must too, serving delicious cocktails and light bites where you can look out onto the bright lights of the city.